Helen Rita (Boehm) Baumbach, age 93, of Redding, CT, died on September 28 in her home surrounded by her family. She was the widow of Robert Reinhold Baumbach, who died on May 14, 2018. Helen and Robert had been married for over 70 years and lived in Redding, CT for over 55 years. She was born on March 12, 1925, in Racine, WI, daughter of the late Stella (Lucas) Boehm and Richard Alois Boehm. Helen is survived by, in her words, her “perfect” family: Her children Bill (Gail) Baumbach of Hopewell, NJ, Susan (Tom) Riley of Waterford, CT, Amy (Russ Bailas) Baumbach of Easton, CT, Mitzi (Scott) Horton of Chatham, MA and John Baumbach of Pittsfield, MA, 13 grandchildren: Alex, Christian, Leif, David (Stacy), Jeff, Kevin, Christopher (Jessica), Kate, Sarah, Billy, Andrew, Will and Jack; and her great grandchildren: Layla, Luke, Miles and Jack. Helen attended Mepham High School in Merrick, Long Island, NY and The University of Wisconsin – Madison. She enjoyed being a member of Tri Delta sorority and was pictured in Life magazine for a story on college life. Helen graduated in 1947 with a degree in Home Economics. It was at UW where she met the love of her life, Bob, on a blind date. Together they lived in and enjoyed Madison until moving to Wantaugh, LI, NY where Bob joined her father’s business and Helen was close to her parents and family. In 1962, Helen and Bob moved to Redding. Helen earned her Masters degree from Western Conn State College, and worked for local businesses including the Bethel Press. Her primary occupation, for 28 years, was Assistant Director and Secretary of the Redding Senior/Heritage Center, until her retirement in 2015 at age 90. Helen was a fabulous seamstress and made many of her children's clothing. She loved quilting and the Redding Garden Club. She was a voracious reader and long-time supporter of the Bethel Library and the Mark Twain Library and its famous Book Fair. 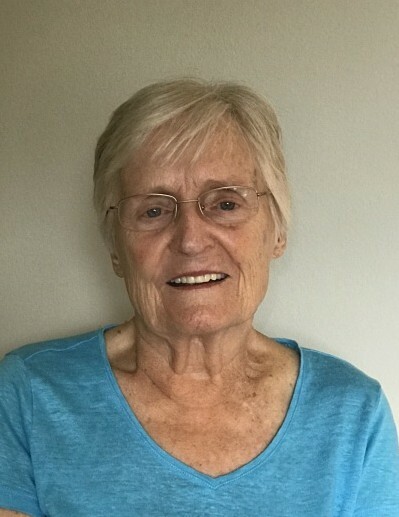 In her retirement, Helen enjoyed water aerobics at the YMCA, making new friends, organizing family events, and primarily caring for her dear husband Bob. The entire family would like to thank Helen’s many friends, the Bethel VNA, and Regional Hospice, for their kind compassionate support and care during her brief and unexpected struggle with cancer. A Memorial Service will be held at Christ’s Church Parish, 59 Church Rd., Easton, CT, on Friday, October 5th at 11:00 a.m.
Burial in the Redding Ridge Cemetery, Redding, CT will be private.